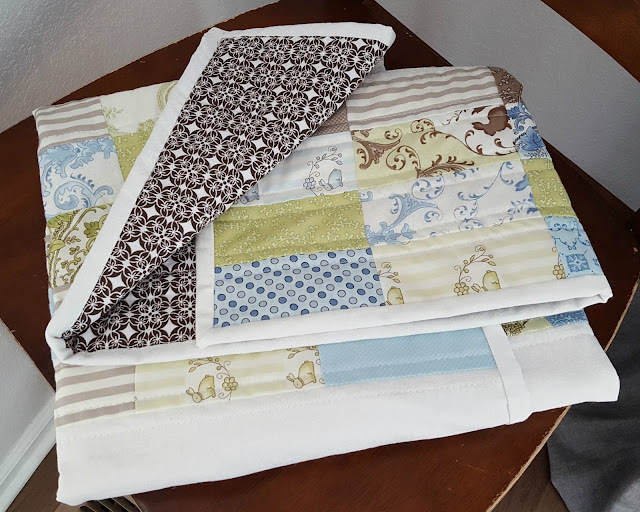 Baby quilts are one of my favorite sewing projects. They are fairly quick and give me a chance to get creative. 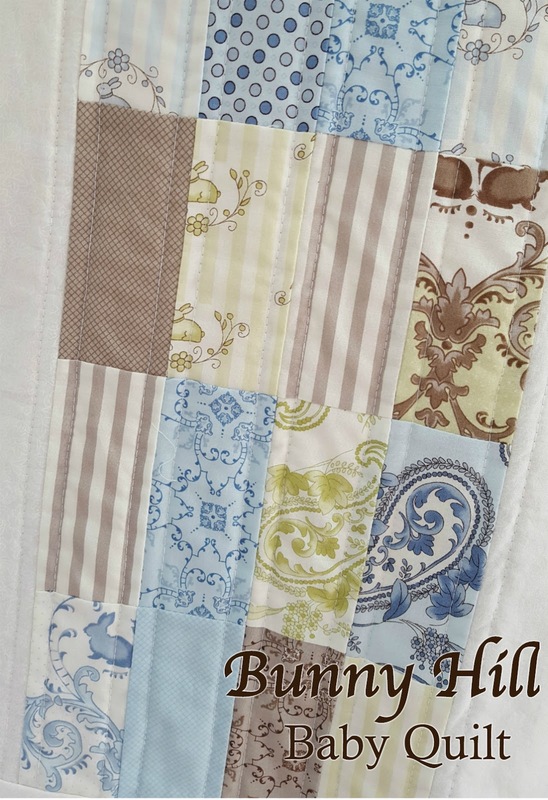 This sweet little boy bunny quilt was actually leftover from a quilt I made 3 years ago. My friend had a baby girl in 2013, and she just had a baby boy. Hooray for matching quilts! 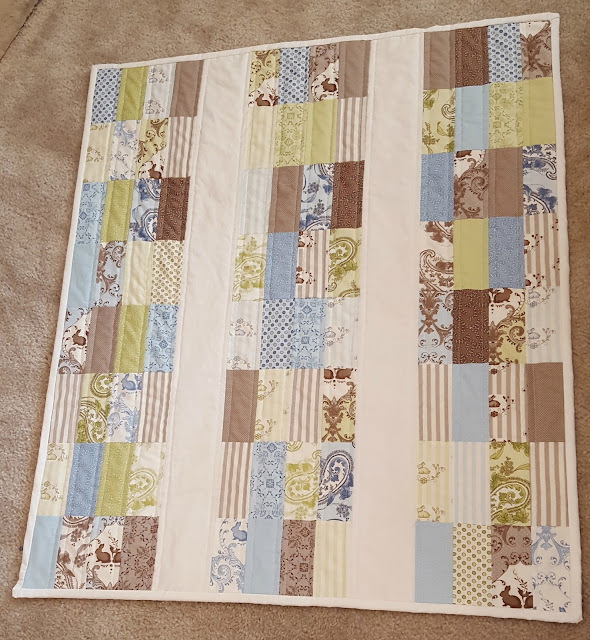 Typically with a quilt like this, I buy one Moda Charm Pack, but here I used the leftovers of two packs that I combined. 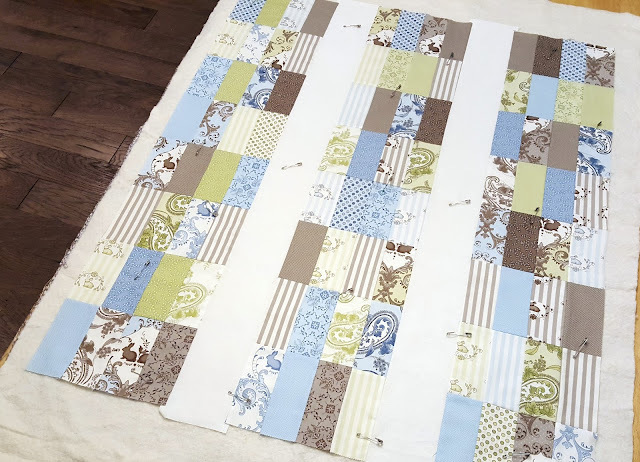 You can also just cut out squares of your own fabric scraps for the same look. First, I sewed all the pre-cut squares together in rows of 8. Then I went back and sliced the rows in half longways to make the narrower 2.5" rectangles. Finally, I sewed the rectangles together in strips, 4 across by 8 down. I made three of these long strips total. Finally, I added a 4 inch white (or any solid color) strip between the patchwork strips. I quilted with a simple "follow the seams" style on all long-ways seams. Then I did a matching binding and we're done! Be sure to use a large, flat surface to pin your quilt. I like to pin with curved quilter's safety pins. Quilted, bound, and ready for baby! 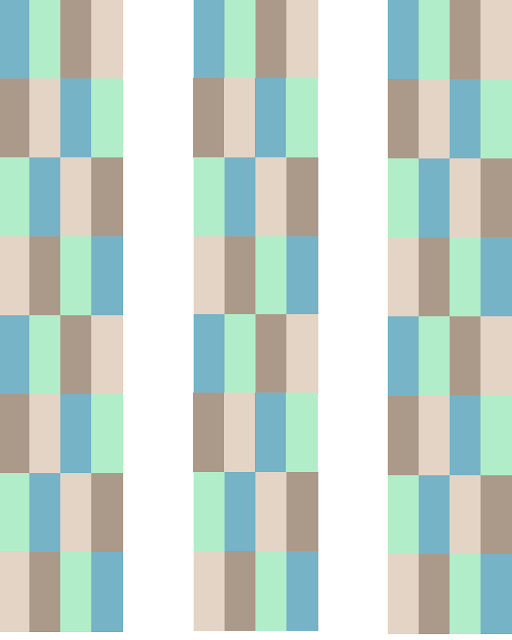 You can see here I used a simple color-block pattern. When I sewed this I chose colors at random to make the quilt more visually interesting. The easiest way to do that is to put all the squares in a paper bag and draw at random. Then when I lay out bigger pieces, I just try to be sure like colors aren't touching.